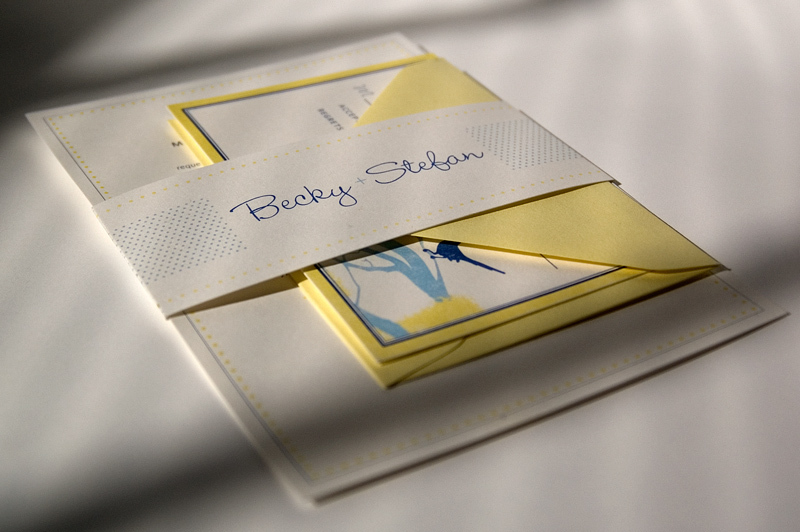 After only a couple of email exchanges, Becky and Stefan struck us as a laid-back, easygoing, fun-loving couple. It was super easy for us to picture them sitting out by the water and relaxing with their pup under the shade of a big oak tree. 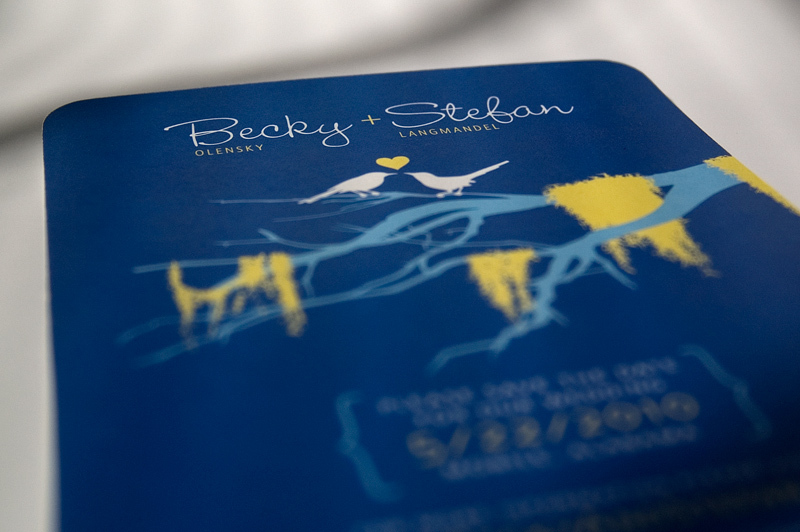 They sent us some beautiful pictures of mossy oaks at Becky’s mother’s home in Mobile, Alabama, and we knew right away that we wanted those to be the highlight of the design theme. With that idea in mind, the brainstorming began on how to create a look that would line up with Becky and Stefan’s vision. 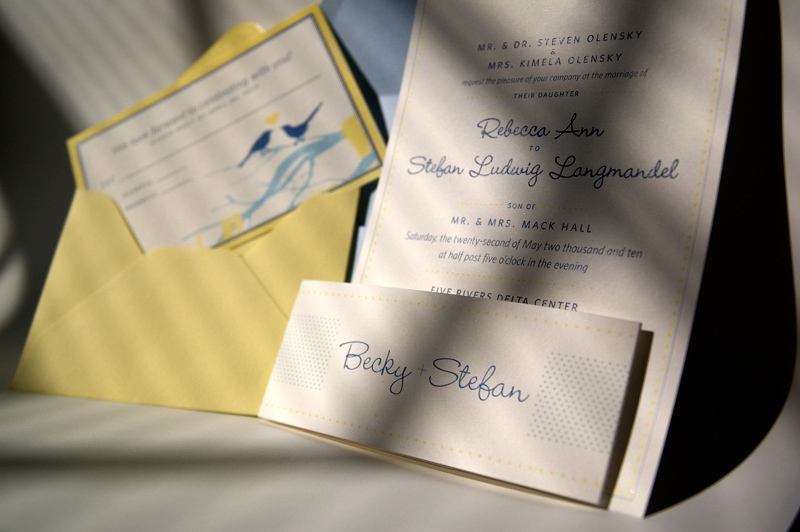 One of the things Becky mentioned to us during our correspondence was that she and Stefan wanted their invitations to have a soft, relaxed feel while still being fun and vibrant. 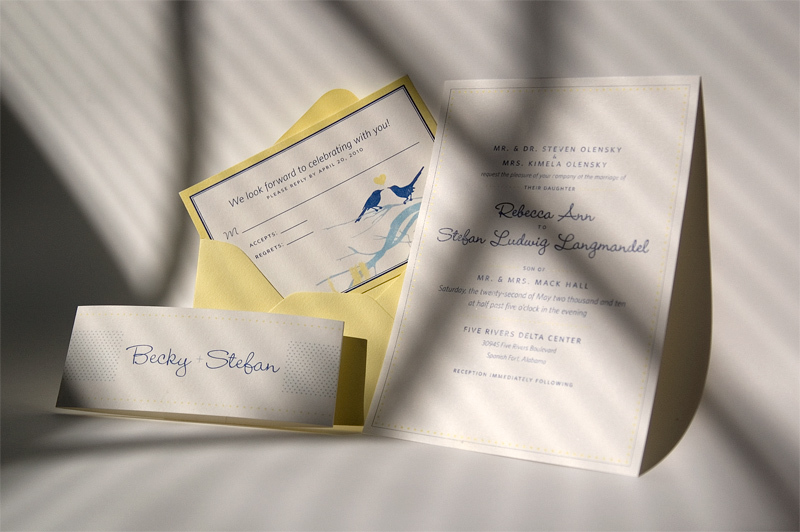 She also told us that they would like lovebirds incorporated somewhere in the design. While the mossy tree alone satisfies the ‘soft, relaxed’ feel, the unconventional coloring (blue and yellow were the wedding colors) as well as the addition of the two lovebirds perched with a heart between them lent to the ‘fun and vibrant’ feel.